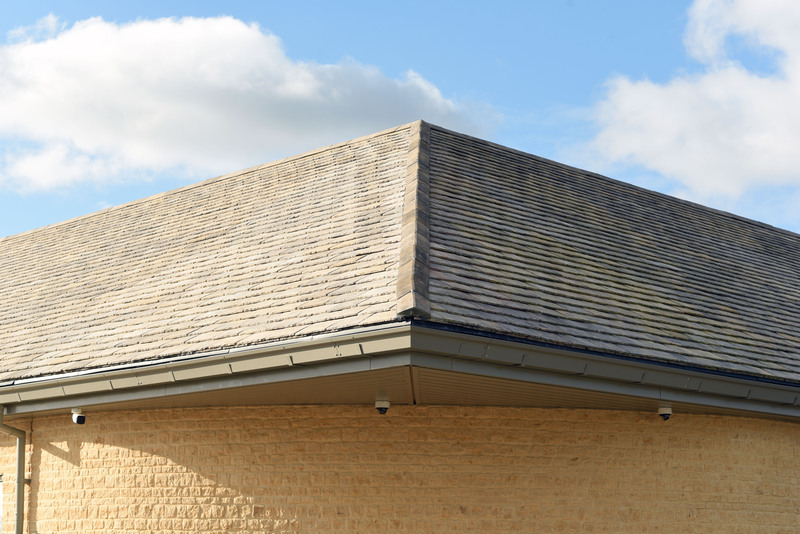 Aggregate Industries’ Building Products team has helped to complete the eco-friendly Midcounties Co-operative supermarket, in Bourton-on-the-Water, after supplying 1,200m² of its Bradstone Crofters roofing tile. The store, which is situated on Station Road, features renewable energy sources to help power the store including discreet solar panels on the roof to provide 33,000kwh of energy per year. The project’s contractor, Attleys Roofing, called on the Aggregate Industries team to provide a cost-effective roofing tile for the project, which was also visually appealing, and would complement the other materials being used in the Cotswolds project. The Crofters roofing tile provided the perfect solution. Aggregate Industries’ roof tiles are moulded from hand-dressed natural stone slates by means of a specifically developed technique which reproduces the fine detail of the originals on the textured face. A range of masters is used to avoid noticeable repetition of profiles. The Crofters roofing consists of main slates, under ridge and eave slates with matching accessories including ridge, hip and ventilation units for the complete roofing solution. Once installed, the authentic colours of the Weathered Buff shade ticked all the aesthetic boxes, delivering a striking and impactful solid colour whilst creating an eye-catching contrast effect with the lighter walling of the building.